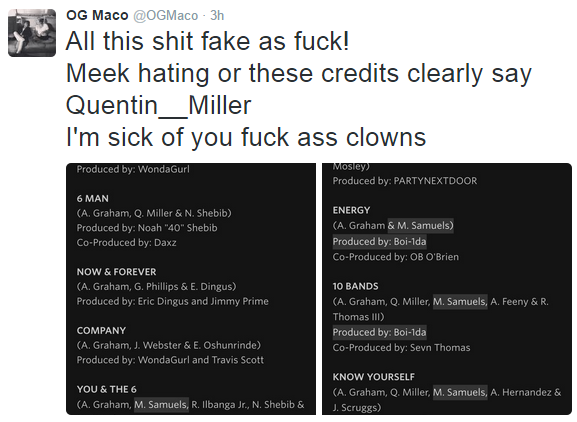 Who The Hell Is Quentin Miller? (Drake v. Meek Mill Beef 2015) – redleafgoldteeth. If you have come across this post you are probably slightly familiar with the ongoing situation. In short, earlier today (June 21, 2015), Meek Mill went on a full “no chill” Twitter rant, going on about a multitude of things, with the biggest being some shots at fellow rapper Drake. Most specifically that Drake “don’t write own his raps!”, and that his ghostwriter is actually a dude by the name of @Quentin__Miller, or Quentin Miller. Out of no where, the likes of OG Maco and others began suggesting that they knew about this as well, and were just waiting for the news to break (complete with Kermit faces and all). 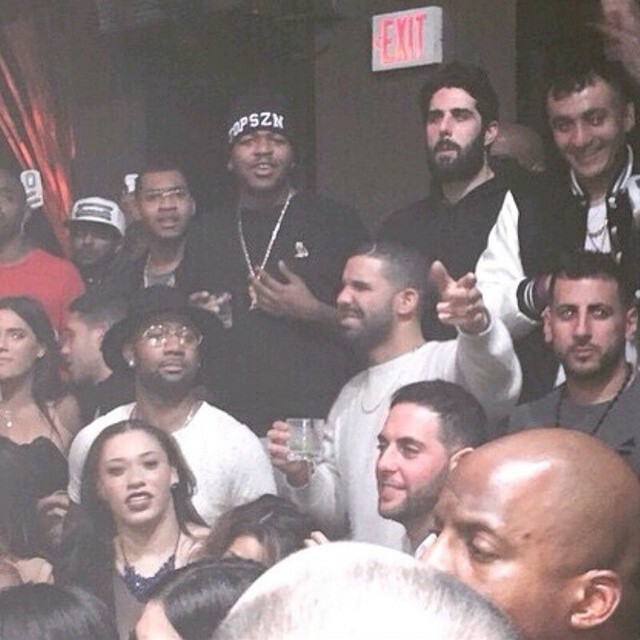 Miller (black toque), hanging out with Drake and the OVO crew, in early 2015. Q. Miller has been listed in the credits of many of Drake’s tracks, especially on his latest album, IYRTITL. According to KTT, Miller started being spotted with the OVO crew about 7 months ago, and even received his own owl chain (the signature OVO piece). Initial impressions were that he might be Drake’s latest signee. Supporters are implying that he is credited, so he is not in fact a ghost writer, while the naysayers claim that Miller writes a majority of Drake’s bars. His entire Soundcloud library was deleted shortly after appearing with OVO (it should be noted that this has been a common occurrence for OVO signee’s, to “start fresh”). He is 1/2 of an Atlanta group called the “WDNG Crshrs”, who also dropped a tape, about 5 months ago. He is fairly known by quite a few Atlanta artists and figures, including producer Cardo, who recently plugged his album on Twitter. This, is his hulkshare account, which contains tracks with samples that didn’t clear on Soundcloud. So, basically what I uncovered… was nothing really. This dude is just as mysterious as he seems. The reason you haven’t heard of him quite frankly, is because well, not many people have. Outside of the ATL it seems Quentin Miller is pretty unknown, but the fact that he has been considered elite enough by this entire OVO crew comes across as quite random. A few parts of the story don’t seem to connect just yet, but hopefully in the coming days, more will discovered. Keep it locked to RLGT for all of the latest in 2015’s version of a hip-hop beef (AKA no actual diss tracks *yet*, just 140 characters and screenshots). UPDATE (July 25th): Drake drops “Charged Up” which takes subtle shots at Meek Mill. 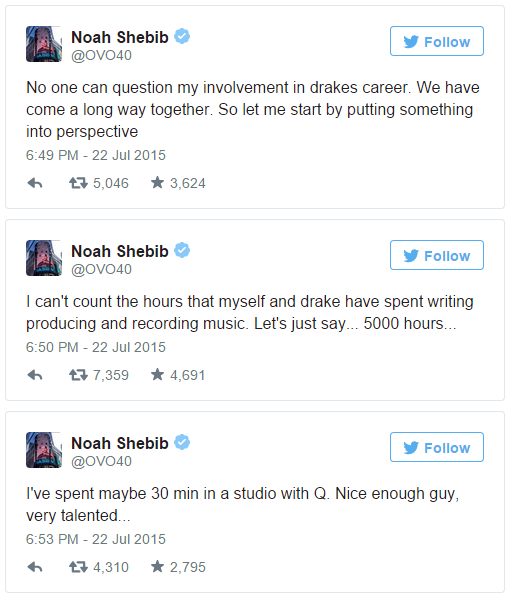 UPDATE (July 29th): After Meek fails to drop a response, Drake goes “Back to Back” with an ever fierier diss track! Game over. Pingback: Views News: Is #VFT6 Dropping Tomorrow? | redleafgoldteeth.